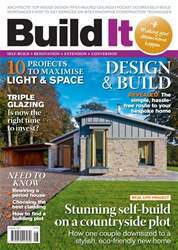 The National Custom and Self Build Association (NaCSBA) has launched a 10-point plan to aid policy-makers in promoting the housing sector, and in particular encourage more self and custom build. Raising awareness of the Right to Build is a major part of the pledge. Under this legislation, councils are obligated to record and monitor demand from those who want to commission their own house building schemes and provide sufficient plots to meet that demand. As securing sufficient funding has been named as a key barrier to self-build, NaCSBA has also called for the introduction of a Help to Build-style equity scheme that will allow people to get their projects off the ground more easily. The release of more public sector land could also lead to the creation of serviced plots for people to develop their own homes.